Today we would like to give you five useful tips for learning Italian fast. 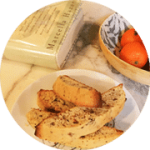 Books, food, literature, art, whatever allows you to combine the Italian cultural matters with your interests is good. An idea is for example this book by Elena Ferrante, “L’Amica Geniale“, in English “My Brilliant Friend” is a wonderful novel about Naples and Elena, the main character of the book. Read this book, you can do it in English through the very good translation by Ann Goldstein. It doesn’t matter this time if you don’t know the language yet: reading this book is just a way for starting to think in Italian and to become familiar with the Italian way of thinking. Come here and see the sea, the mountains, the cities, the art. You will start to breath the atmosfere of this country. This will be really good to learn the language. 3. Tips For Learning Italian Fast: PRACTICING THE LANGUAGE WITH THE ITALIAN PEOPLE. Don’t worry if you don’t know the language yet. The point here is giving to yourself the opportunity of: 1. Having a relation with the Italians, 2. Starting a true dialogue with them. I have an America student, here in Italy. He is improving his knowledge of the language really quickly. He started every day speaking with the Italian using his own mother tongue language and waiting for the Italian response in Italian. At the beginning he didn’t understand so much, after he started to understand better. He is now speaking with them directly in Italian. Taking an Italian Course that will give you the basics of the language and that let you practice. What is really important, when you choose a course, is choosing a very well prepared teacher that not only knows the grammar, but also knows how much important the conversation is. A good teacher is a person that feeds your interests for the language with many other additional information and materials. 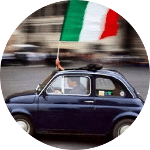 This is an example: From Bello to biutiful: what’s going on with the Italian Language? | Annamaria Testa | TEDxMilano. So pay attention when you choose your course and pay attention to which will be your teacher. 5. 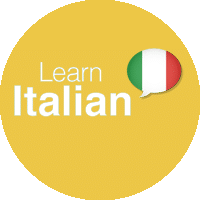 Tips For Learning Italian Fast: LEARNING THE LANGUAGE. Learning the Language, the Grammar rules and the Lexicon. They are the most important means that you have for expressing yourself in Italian and speaking properly. There’ s no other way for doing that. Here you find an helpful video course of Italian. It will allow you to enter the language and have a general overview about it. It will give you important notions about the pronunciation and the basic rules of the grammar.